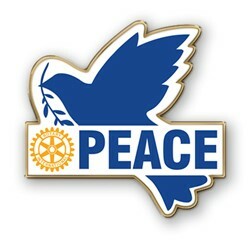 Consider being part of the community of Rotarians who have a special interest in promoting peace. Both individual Rotarians and entire clubs can be involved. Designate a club member as your official connection to Peace resources. Enroll in the Rotary Peace Academy. Send your photos, updates and ideas to PDG Nancy. Watch for new support, networks and resources to be announced as available. And, be ready to become a Peacebuilder Club this year!